The Pascagoula River Basin of southeast Mississippi has been compared to the Serengeti Desert of Africa, the Amazon Basin of South America, and the Mekong River Delta of Vietnam. It is to Mississippi what the Everglades is to Florida, the Okefenokee Swamp to Georgia, the Atchafalaya Basin to Louisiana, the Big Thicket to Texas—in other words, an ecological treasure. Scientists have deemed the Pascagoula to be the last major river system in the lower forty-eight states and southern Canada unaltered by dams, channelization, levees, or similar human impact. While there are dams on its extreme upper tributaries, the Pascagoula’s flow essentially remains natural. The ninety-six-hundred-square-mile basin is wild in other ways, too, flanked by approximately six hundred thousand acres of public lands, including state parks and wildlife management areas, national wildlife refuges and forests, and a pair of Nature Conservancy preserves. The Nature Conservancy purchased some forty-two thousand acres of riverside land from the Pascagoula Hardwood Company in the 1970s and sold it to the state, which set it aside in wildlife management areas—a pioneering effort in conservation that served as an example to other states. In addition, conservationists used the presence of the Gulf sturgeon, a giant fish that spawns in the Pascagoula, to help block a proposal to dam the Bowie River, a Pascagoula tributary, in the 1990s. The Pascagoula has two major tributaries. The 159-mile Chickasawhay River begins at the town of Enterprise, just south of Meridian. To the west, the 185-mile Leaf River heads up near Raleigh, just south of Interstate 20. 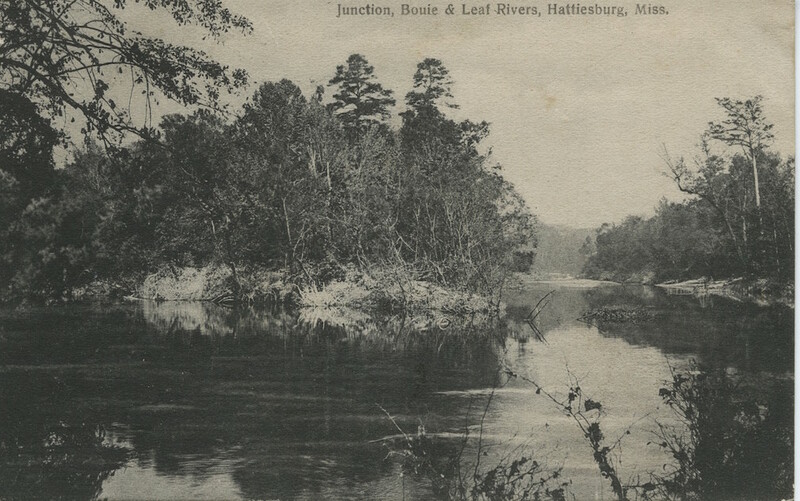 The pale, silty Chickasawhay meets the dark, clear Leaf just above the village of Merrill in southeastern Mississippi to form the main Pascagoula, which meanders 81 miles south to the Gulf Coast at the towns of Pascagoula and Gautier. 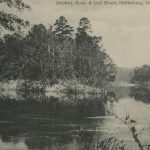 Other sizable tributaries include the Chunky River, Buckatunna Creek, Okatoma Creek, the Bowie (also spelled Bouie) River, Tallahala Creek, Bogue Homa Creek, Black Creek, Red Creek, and the Escatawpa River. On the upper reaches of the Leaf and Chickasawhay, rapids alternate with long, slow stretches where the water barely moves over its sandy bed. There are some rollicking rapids, including a double-decker that drops two or three feet and a foaming chute one hundred yards long on the Leaf. Mossy clay banks are topped with sycamore, river birch, water oak, hickory, cypress, and beech trees. Spicing up the greenery in the springtime are white-blooming dogwoods and fringe trees, pink-flowered native azaleas and mountain laurels. Other blooming plants include red buckeyes, dewberries, honeysuckles, wisterias, yellowtops, privets, black haws, and trumpet vines. Visitors may observe hawks carrying snakes in their talons, ospreys toting fish, deer sipping at the riverside, swallows circling above rapids, black vultures hulking on rock bars, kingfishers diving for minnows, turtles gliding along the bottom, herons and egrets gracefully taking flight, turkeys fleeing in panic, and snakes pausing in midswim to stare. An especially distinctive Pascagoula species is the swallowtail kite. These beautiful black-and-white birds have a sharply forked tail and narrow wings that spread more than four feet, but they rarely flap, instead soaring on the air currents like kites. 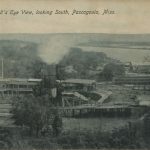 The riverside environment deteriorates in places on the lower Leaf and Chickasawhay, with cutovers, rusty oil wells, eroded sand mines, traffic noise, industries, sewage lagoons, a paper mill, and camps whose owners have thrown rubbish down the bank in futile attempts to stop erosion. Things improve at the juncture of the rivers, where the Charles M. Deaton and Herman Murrah Nature Conservancy preserves lie. The Pascagoula River itself is wide and slow. In high water the river spreads out over its banks into the woods, creating a network of lakes and bayous. When low, it exposes vast sandbars and leaves bayous nearly dry. Sandy beds and sandbars show tracks of minks, muskrats, snakes, beavers, raccoons, possums, armadillos, mice, wild hogs, squirrels, coyotes, deer, herons, nutrias, bobcats, and alligators. Nearer the coast, the Pascagoula splits into east and west rivers, both affected by tides from the Mississippi Sound. The east river goes by industrial Moss Point and Pascagoula, while the west takes a more remote route to Gautier. Sandbars and dry banks subside into a wet jungle of mud, cypress, and palmettos. Sloughs, bayous, and oxbow lakes branch in every direction. Rustic camps line the west river at Poticaw Landing and Rogers Bend. Trees give way to marsh north of Interstate 10 and then to open bays as the river enters the Mississippi Sound through a sieve of marshy islands. 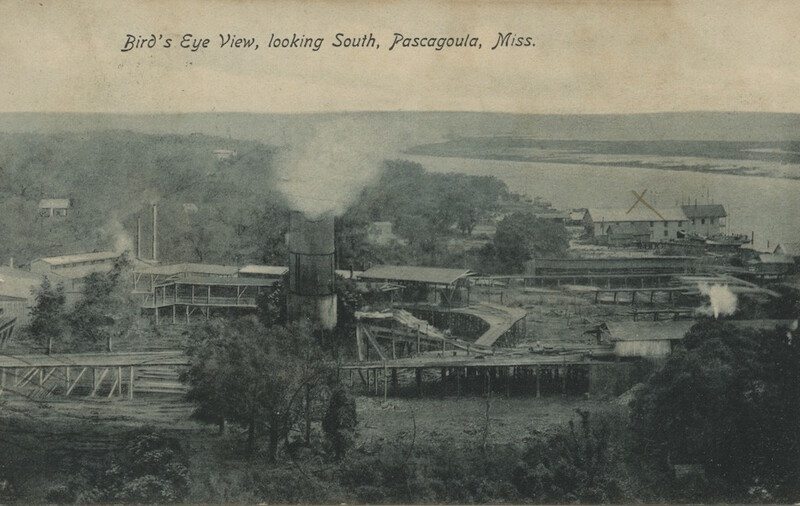 Pascagoula means “bread people,” and legend has it that when the Pascagoula Indians faced extinction, they agreed to commit mass suicide by wading into the river singing. To this day people report hearing a singing noise on the lower river, leading to its nickname, Singing River.